The Cuisinart CBK-200 Convection Bread Maker is an ideal solution for fast and easy making of fresh bread. It comes with automatic speed and timing adjustment, and circulates air while baking. The bread maker is expert in making exclusive low carb, gluten-free, and artisan dough. The Bread Maker comes with 12-Hour-Delay Start Timer, and Power Failure Backup for safe and secure bread making. It is beautifully designed in an smooth brushed stainles steel finish. All the parts and accessories are dish washer safe and very easy to clean. 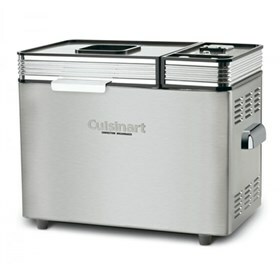 The Cuisinart Convection Bread Maker has many exciting features for users of all types. You can extend the lifetime of your Cuisinart Convection Bread Maker with the purchase of a FactoryOutletStore Factory Protection Plan. 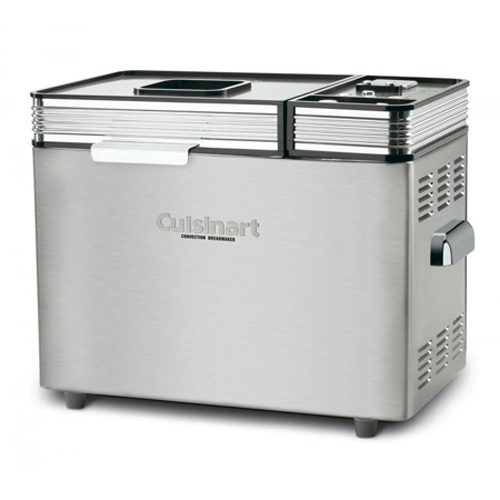 See the Cuisinart Convection Bread Maker gallery images above for more product views. The Cuisinart Convection Bread Maker is sold as a Brand New Unopened Item.